The Chelsea full-back reacted angrily to suggestions he had withdrawn from England’s 2014 FIFA World Cup qualifier against San Marino with mere a sore throat. ENGLAND MANAGER Roy Hodgson has criticised Ryan Bertrand for his Twitter outburst, but feels no action needs to be taken against defender. 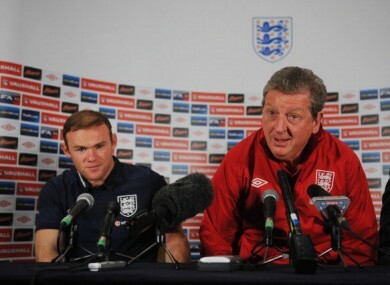 Hodgson, speaking at a press conference ahead of Friday’s sell-out clash at Wembley, sympathised with the 23-year-old’s frustration, but said footballers’ use of Twitter needs to be more thoughtful. Bertrand’s Chelsea team-mate Ashley Cole found himself in trouble earlier this month after launching a Twitter tirade against the Football Association when they questioned his evidence in support of colleague John Terry, who was banned for racially abusing Anton Ferdinand. Incidents such as Cole’s outburst prompted the FA to this week issue England players with new guidelines on the use of social media. But despite Bertrand seemingly breaking them days later, Hodgson does not expect repercussions in this case. “I believe the governance of the FA have already made a decision on (a punishment),” he said. ”There’s not really a question from the FA’s point of view that he’ll be charged … but it’s a lesson that needs to be learned and hopefully a lesson we can all learn from. Wayne Rooney, who will captain England in Friday’s match, has over five million followers on Twitter, and echoed the sentiments of his manager. “As a player we know we’ve got responsibilities – whether that’s on social network sites or in general life and we have to try and live to them expectations as best we can. Email “Roy Hodgson goes easy on foul-mouthed Bertrand ”. Feedback on “Roy Hodgson goes easy on foul-mouthed Bertrand ”.